Peter Harris speaks to Oliver Sylvester-Bradley from OPEN on #stream2own, Resonate’s collaborators and more. 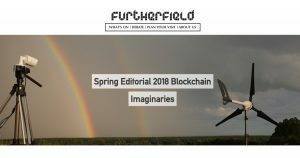 You can find Resonate mentioned in Furtherfield as part of this piece, “Spring season of art and blockchain essays, interviews and events”. 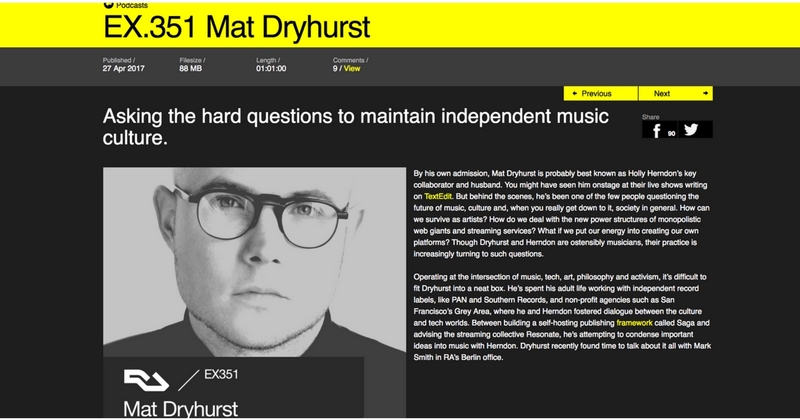 Resonate’s decentralization artist/activist advisor Mat Dryhurst interviewed by Resident Advisor. 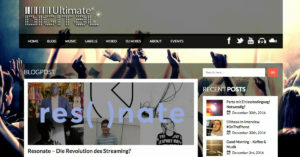 Interview with the German music blog Puls. 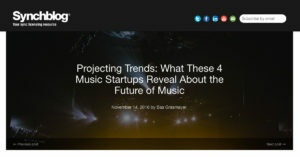 Bas Grasmayer included Resonate in a feature about four startups representing future trends in the industry. Interview with OuiShare project manager Francesca Pick. 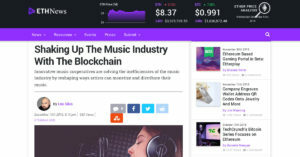 This article has also been re-published on Shareable and the P2P Foundation websites. 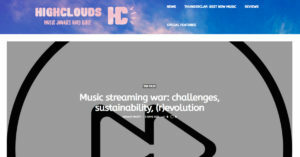 Interview and feature story from music blog HighClouds. 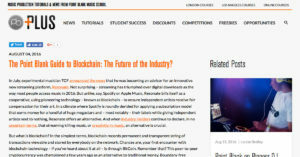 Numerous mentions in this blog post about blockchains and the future of the music biz. 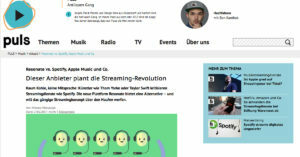 “Endlich ein fairer Streaming-Dienst?” Interview with German-language music site Groove. 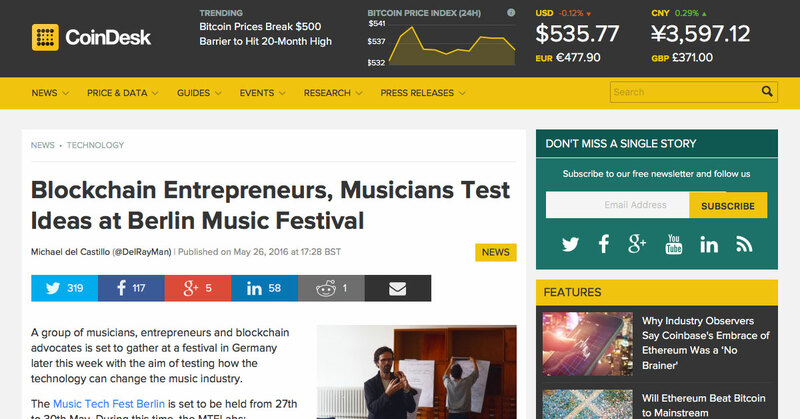 Coverage about the blockchain lab co-organized by Resonate founder Peter Harris at Music Tech Fest. 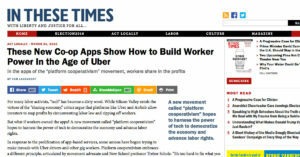 We were referenced in Trebor Scholz’s new ebook “PLATFORM COOPERATIVISM – Challenging the Corporate Sharing Economy” which is available for free download from Rosa Luxemburg Stiftung. 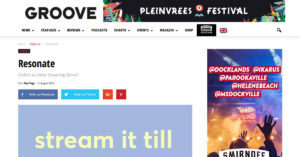 Resonate was featured in the print version of Parisian magazine A Nous Paris, published on April 11th. Download the PDF or check the streets of Paris! 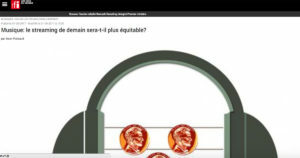 Briefly mentioned in the March 21st online addition (and print edition in April) of In These Times. 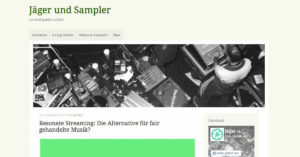 Peter was interview for the German music industry blog Jäger und Sampler on February 16, 2016. While not strictly a media outlet, it felt important to reference this story on the Next System Project blog. 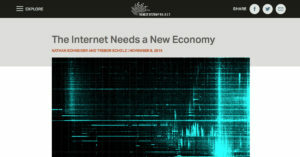 Written by founders of the Platform Coop conference in New York, this is an intense essay on the need for a new economy online.